I’ve been keeping a journal since I arrived in Luxembourg nine months ago. Among many entries that I don’t merit sharing are littered little thoughts about Luxembourg, and, by way of them, the evidence of my Floridian expectations towards the people, places, and climate in the GrandDuchy. I don’t suppose any of my entries can be a real testament to how this country, which has housed, fed, and taught me over the last better part of a year, can be intellectually appreciated, much less completely summarize a 2586 km2 region whose history extends into much of documented civilization. But I’ll take some thoughts and give it a try. Positioned at the crossroads of France, Belgium, and Germany, it seems obvious that Luxembourg should develop a multilinguistic socioeconomic fabric. Because the country is in some way a mere stain on the European geopolitical framework, her role was seemingly destined from the start—should she become prosperous—to create ties between more industrial and agriculturally-rich neighbors. She is somewhat forced into conformity and accommodation in this way. I have travelled Luxembourg’s distances in a day’s time. In fact, my home county in Florida is only slightly smaller than the whole country. I’ve spoken, or tried at least, her languages in each corner. I’ve learned what lies at the heart of the Luxembourgish identity and what forces permit and prevent social and economic ascension, and I’ve left and returned with new perspective on her diversity. I’ve picked up on what assumptions her neighbors hold of the GrandDuchy, and the GrandDuchy of her neighbors. Of course, I can’t explain all that I’ve learned. Travel is experiential and relatable necessarily by physical presence in different places. What I know is that Luxembourg has become my home. The United States seems so far away after nine months; in fact, prolonged distance has given me critical perspective, new appreciation, and a sense of what the American dream feels like from the outside. In short, it’s both good and bad. In a beautiful life I suppose everyone is looking for equality, economic prosperity, love, justice, cohesion and the realization of set ambitions. The real marker for Luxembourg is that this beautiful life is stunningly possible in Europe’s thumping financial heart. There is very little racial tension, gender prejudice, and financial stress. 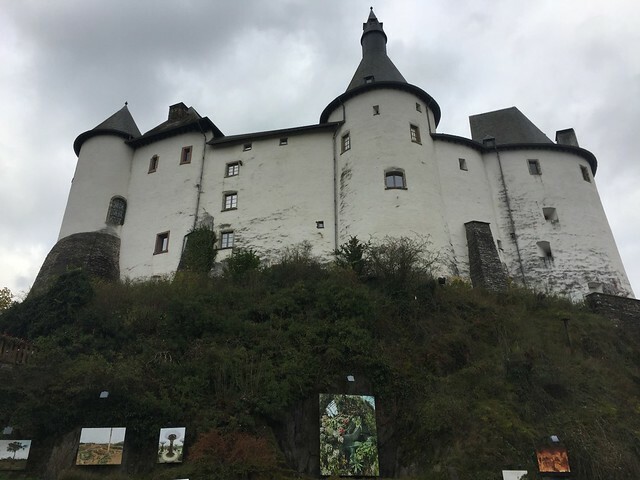 The very fabric of Luxembourg’s demographic pool is made of diverse working classes, cross-border pollination, and immigrants that defy all conceptions a young Floridian could intellectually muster from the other side of the Atlantic. Xavier Bettel, Luxembourg’s Prime Minister, is himself the product of migrant grandparents. He often says, “if I can do it as the offspring of eastern Europeans, then anyone can.” The Grand Duke (think “King”) married a Cuban woman. The schools in which I teach claim Portuguese, Luxembourgish, French, German, Italian, Belgian, and Spanish students in a stratum so vast that one couldn’t name a dominant ethnicity. In the end, what matters most about Luxembourg is that anyone can be Luxembourgish—as long as s/he is willing to learn the languages. This is perhaps the only country in the world where linguistic skill can almost, if you blink your eyes and tap your heels just right, implant identity. I came to Europe with my, albeit naïve, European Dream—to learn, to grow, and to find prosperity. And I found so much more. I found a new home—a place that feels right. I will stay to continue working in my new home. While I speak fluent French, I’ll soon be learning German and then Luxembourgish. It feels a bit daunting at the start, but experience has taught me to have faith in this small country and the possibilities that seem to flow from it like a rich chocolate fondue. At the end of the day, as has been briefly displayed, a Luxembourger can be made. 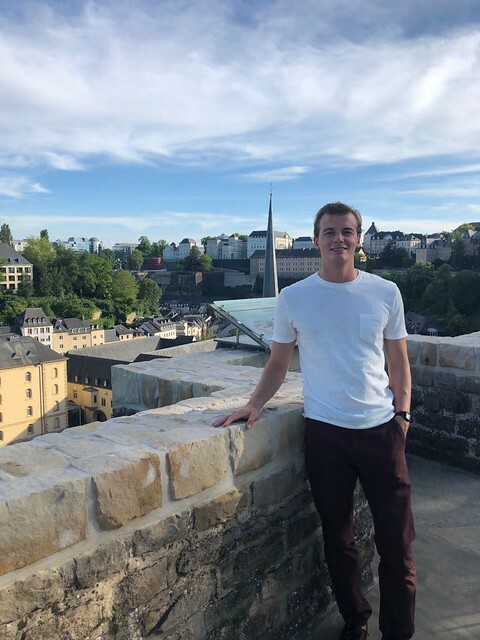 Noah Gomez is a 2017-2018 American Fulbright English Teaching Assistant to Luxembourg. 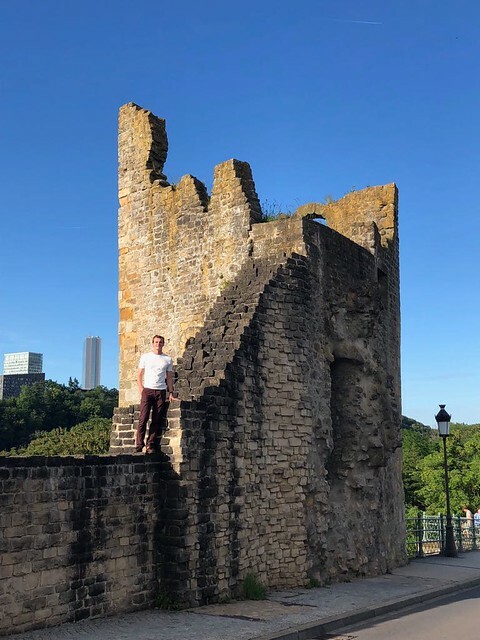 A recent graduate of Florida State University, he is spending the academic year teaching English at the Lycée Hubert Clément Esch-sur-Alzette and the University of Luxembourg. Articles are written by Fulbright grantees and do not reflect the opinions of the Fulbright Commission, the grantees’ host institutions, or the U.S. Department of State.